A couple of weeks ago I was invited to a BBQ masterclass with Richard Holden. 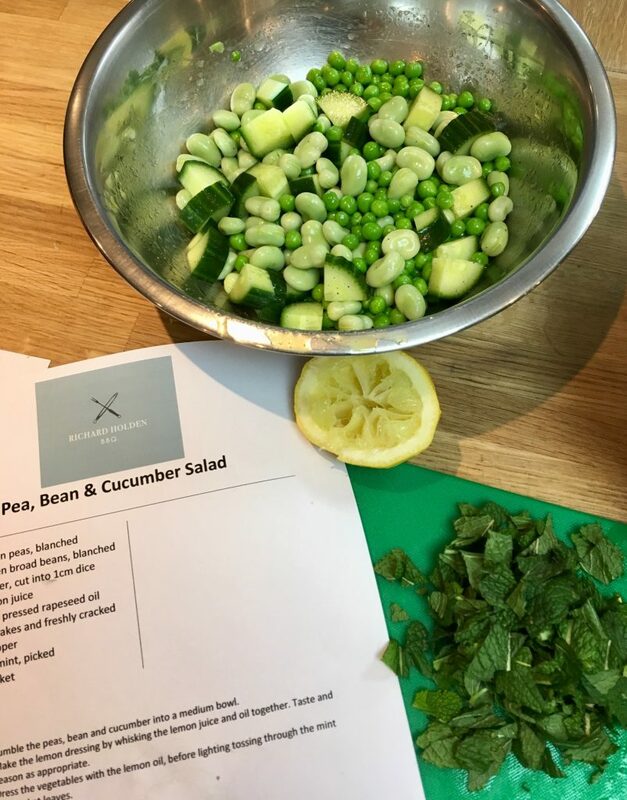 I was really pleased to be invited as when food is cooked well on a BBQ it is immense but all too often you go to a BBQ and end up either getting undercooked food or charcoaled remains so I was hoping to learn a few tips. 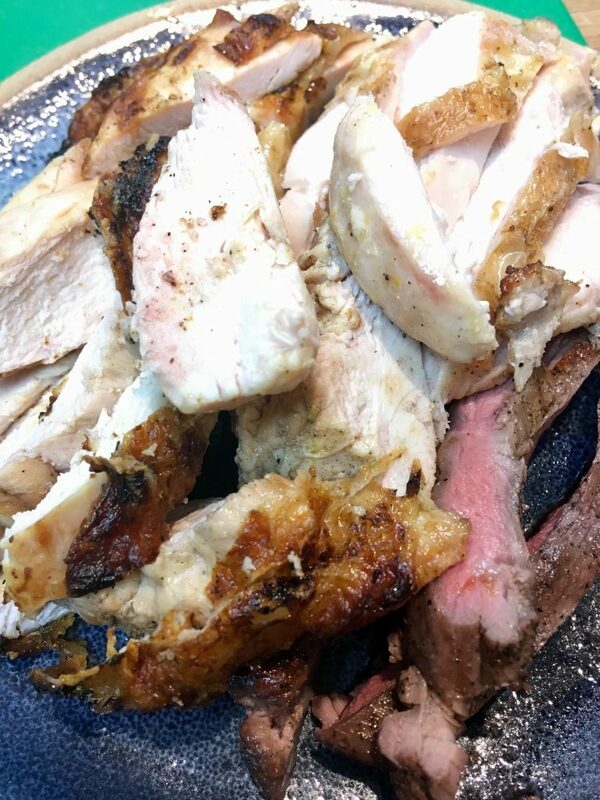 Thermapen, the manufacturer of a cooking thermometer commissioned some research that concluded over 80% of people surveyed did not know the correct internal temperature for cooking burgers or chicken. A third of people said they throw away barbecued food and with the average family having 9 barbecues over the summer this amounts to 22,000 bin lorries of waste! I hate to waste food and money so hopefully by using such a simple tool as a thermometer it can reduce wastage of food and money. I’ve actually been using my Thermapen on our every day meals to check the temperature instead of cutting through the middle of the food to keep checking which results in it looking like a mess by the time I have finished with it. The correct internal temperature of a cooked burger is 70°C and the minimum for cooked chicken is 74°C. Food that is cooked properly retains the natural flavour and succulence and makes a BBQ memorable for all the right reasons. At the class, we worked in small groups to make a couple of meat recipes and a couple of salads. 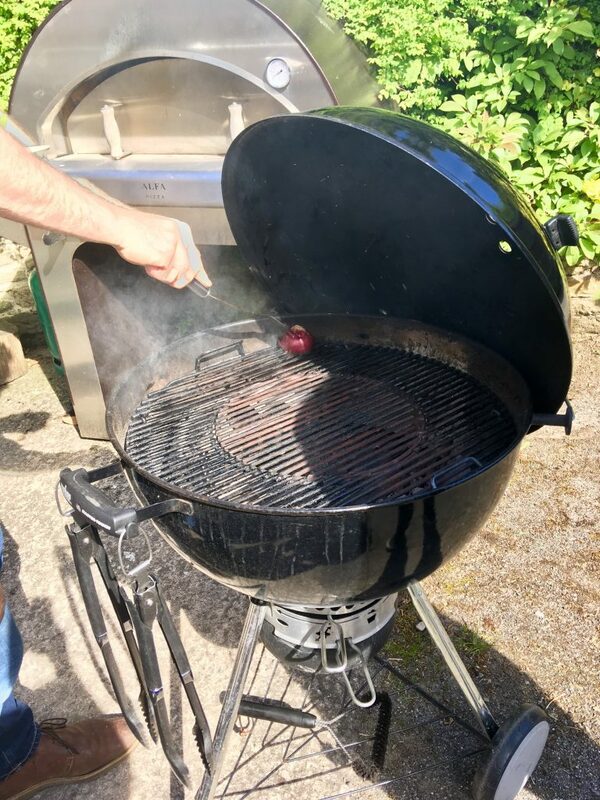 Richard advised us to start by greasing the BBQ with half an onion rubbed in oil, this prevents the food from sticking to the BBQ and also keeps us safe from any flames that may blow out whilst doing it. He also pointed out that no accelerants are actually needed to light a BBQ which will probably come a surprise to a lot of people because how many times have you turned up to a BBQ and seen copious amounts of fire lighting fluid being thrown into it! 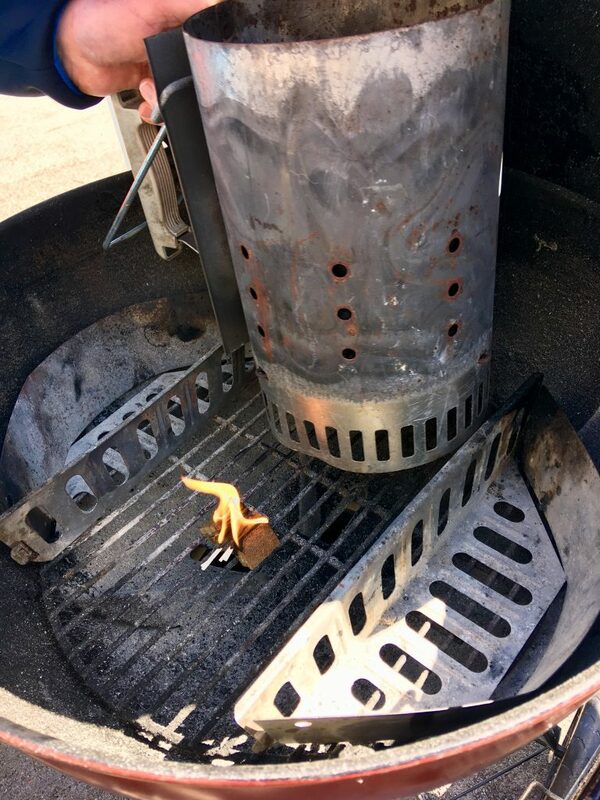 If you have a kettle BBQ you can use a chimney device to light it correctly. Also, if your BBQ has a lid, use it to keep the temperature stable. The more you open the lid the longer it will take to cook. It’s also a good idea to use the same BBQ each time and the same type of fuel so you can get to know how much fuel you need and how to use the BBQ correctly. As you would with your oven indoors, preheat your BBQ, let the flames burn away any excess leftovers from your last BBQ and it will also help keep the temperature whilst cooking. Have two sets of utensils, Richard pointed out that we don’t really question buying utensils for the kitchen but tend to see it as not needed for the BBQ. If you have two sets of utensils, you can keep one on the right of the BBQ and one on the left, keeping them separate for raw and cooked food to avoid cross contamination. This sounds like an interesting event, I bet it was fun to learn from someone who knows so much about BBQs on the best ways to use one. That sounds amazing, I would love to do more BBQ cooking. It sounds like you learnt a lot. Having separate BBQ utensils is so important I think. Sounds like an awesome masterclass, I would have love to attend this myself. The dishes look so tasty. 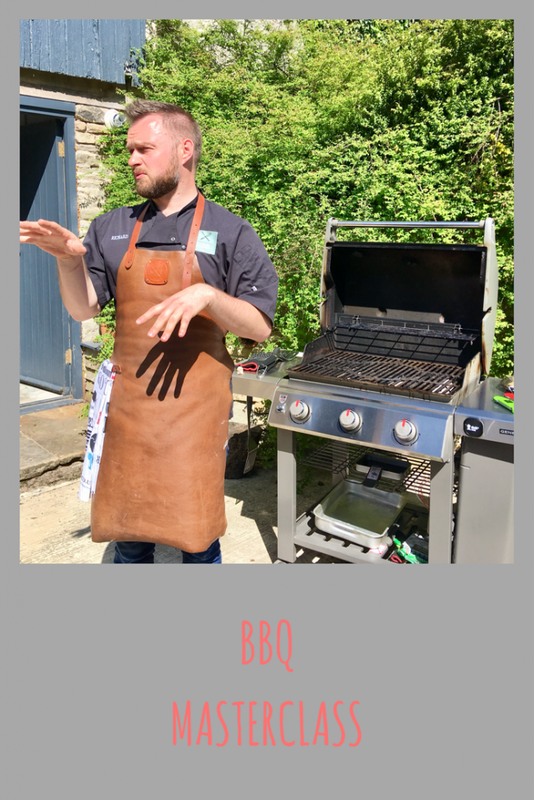 Sounds like a great masterclass – I do love a good BBQ! Oh wow this looks interesting. I bet you learnt lots of great tips whilst there. I’d had loved this I generally just wing it and hope for the best. oh wow, i am so intrigued by this event. it is an awesome masterclass, a great way to learn great tips. i love BBQ. We are due to have a BBQ tomorrow for our middle daughter’s birthday – Oh how I wish we had one of these thermapens. I’m always so nervous about cooking chicken on a bbq but really love eating outdoors. We’re looking forward to having more BBQs now that the weather has improved so much. The masterclass sounds so informative and using a Thermapen sounds like an ideal way to avoid wasting good food because it hasn’t been cooked properly. Wow this was a really cool master class, hope you enjoyed it. I wish I had a backyard I would do so many BBQ in the summer :-). My mother in law does them a lot she lives in a house and it’s always fun!